​Isn’t it just wonderful how dynamic God’s word is and how we can read and re-read a scripture and He can speak to us with a different message each time. This scripture in Hebrews was just that way for me this week. This passage has been a ‘go-to’ reading for me whenever I need that little bit of encouragement for endurance or perseverance… to stay in the race… to keep going… to cast off hindrances... to reach the goal. ​It doesn’t say ‘whichever way I am running’ or ‘wherever I want to go’… it says “the way marked out for me”. There is a specific path for me, a specific lane on the highway of life that is just for me! So what was God’s new message to me this week? ​Stay – In – YOUR – Lane -. Stay on YOUR path. ​Think about it, what would happen on the road if all those moving cars didn’t stay in their lane and just started driving wherever they wanted. It would be chaos, movement would be impeded, everyone would have to slow down and eventually all progress would come to a grinding halt. This is also true as we are all moving along our life paths together. ​If I am not keeping my focus on Jesus I can become distracted, make a wrong turn, run into someone else, go somewhere I do not need to go or just get totally lost and completely turned-around or stranded. If I am focused on Jesus, I will be moving toward Jesus; but if instead I begin to focus on the prize, or the scenery, or other drivers, etc, I will veer off path and begin moving in an altogether different direction – even away from God. ​I can’t make any progress or complete the work God is needing ME to complete if I am taking side trips off of my life path. I can’t allow myself to become distracted by all those billboards Satan is building up urging me to take the next Exit; I need to remain focused on Jesus, He will provided discernment so that I can follow God’s directional signs and continue on to my destination. ​I can’t stay in my lane if I am focused on someone else’s path. Yes, I have to be aware of all the other drivers, but if I am more concerned with how they are following their path, I am not focused on my path. If I am rolling down my window to get their attention to tell them in how I think they should be following their path, not only am I am NOT focused on my own path, now I have become a hindrance to someone else on their life path. Stopping to offer assistance to someone in need is our responsibility, but trying to take ahold of their steering wheel to drive them where we think they should go is distracting to both of us, counter-productive and prevents everyone from reaching God’s destination. ​So as we each follow our paths every day, I pray that we will all heed God’s message to us; because as we do, we will be putting ourselves in the most effective position for God to use each of us to complete the great works which He has set aside for us to accomplish for the good of His heavenly kingdom. passionate about inspiring & encouraging women on their daily walk with Christ. What a beautifully written post, it really resonated with me. "Staying in lane," is one of my life's motto's and an ongoing life lesson. Thank you for the encouragement, wisdom and scriptures (that I will add to my bible study). Thank you Nisha for the encouragement and for stopping by!! Blessings my #titus2sday friend! Kim I get soooo distracted! Glad to know I'm not alone! Have a great day!! Love the reminder to stay in my lane. As a gal with some definite co-dependent leanings, I find myself in others lanes way too often. Enjoyed your post today. Visiting from Testimony Tuesday. Linked with you last week and thought I'd come back. So glad I did. Hi Ginger! Thank you for dropping by again! Blessings new friend! Jana, I love that you bring this up. I was just thinking this week the same thing. How I can't look at other people's races and compare. 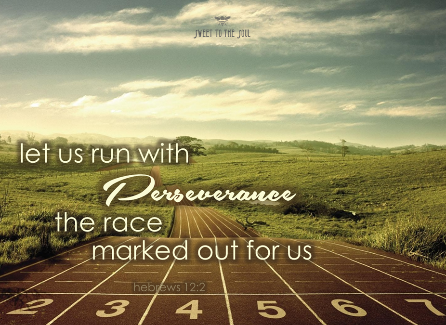 We are set out to run straight to the arms of Christ and he has each of us on different paths. I love that you have joined the #RaRalinkup with Purposeful Faith. It is a pleasure to have you.